It is always a pleasure to meet the tireless and irrepressible Yngvild Steytler and taste her impressive Pinotages. Gary Vaynerchuck likes Pinotage. In his latest video tasting he opens 2009 Diemersdal Pinotage and 2007 Chamonix Greywacke Pinotage, rating them 88+ and 89+ points. Some interesting comments and individualistic tasting descriptors! 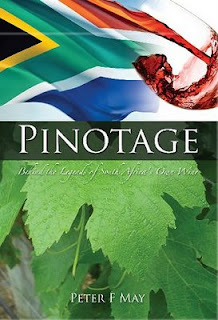 PINOTAGE: Behind the Legends of South Africa's Own Wine is now available from Apple's iBookstore as an iBook for the iPad and iPhone. This joins the Kindle version and traditional original paperback in making the book available on a wide range of platforms. For signed & dedicated copies buy directly from me using the links to the right. In South Africa the paperback is on sale in the Delheim winery giftshop, Kanonkop Estate's tasting room and Book Cottage in Hermanus. *also readable on Android, BlackBerry, PC, Mac, iPhone, and iPad using the free Kindle App. I think Kanonkop's Kadette 2009 Cape Blend is the best vintage they have ever made, and I have bought cases of it for my wine tasting and home consumption. I first tasted it at the winery in January and said very impressive ... this vintage is a step up, being much more serious. There’s less upfront obvious fruit and a classic linearity. In today's Telegraph Victoria Moore picks it as one of her top summer wines. There’s no mistaking the origin of this bold red: it’s a big, smoky South African blend of pinotage, cabernet sauvignon, merlot and cabernet franc, aged in old French oak. Beautifully structured, with notes of roasted coffee beans and leather. It would be brilliant with blackened barbecue meat – spare ribs and steaks. 'Beautifully structured' - yes, spot on! Vino Con Brio winery in Lodi is closing on 5 June and the property has been sold on the retirement of the owners, Mike and Renae Matson. Vino Con Brio has the largest Pinotage plantings in America. 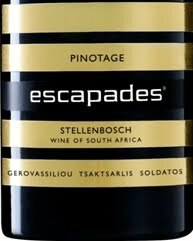 They make their own Pinotage, which I have tasted and its a good clean fruit forward modern wine, and they sell grapes to a number of other wineries who want to make Pinotage. This follows the sudden sale in March of New Zealand’s Muddy Water winery to neighbouring Waipara producer, Greystone. Muddy Water made one of my favourite NZ Pinotages, a powerful ‘no prisoners’ taken statement wine. Winemaker Belinda Gould, Muddy Hill’s winemaker of eleven years lost her job. New Zealand journalist Sue Courtney called the Muddy Water 2009 Pinotage “voluptuous” and that it was a wine that “totally seduces the senses in every way - a wine that lovers of full-bodied reds will find hard to resist.” Sue is doubtful that Greystone will continue with making Pinotage. Sad news when two top non-South African Pinotage wineries close in few months of each other.